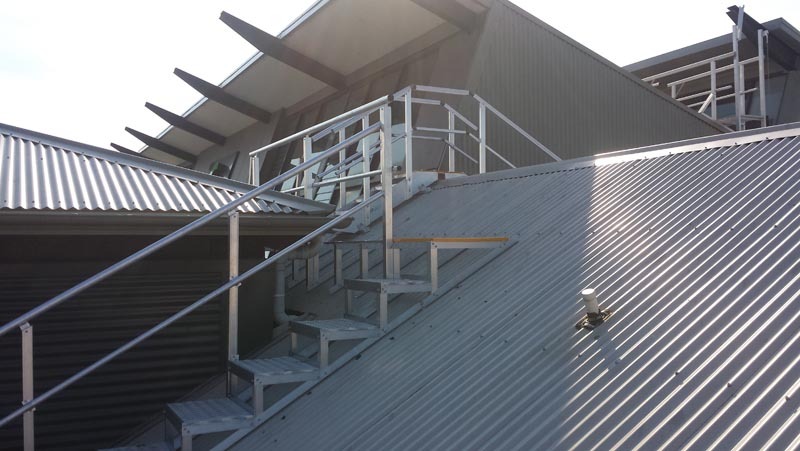 Safety Plus Australia stair systems are manufactured from structural aluminium extrusion and are designed to provide safe and easy access to roofs, to suit either external or internal access applications. 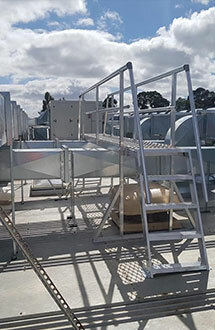 No stair application is the same, hence all systems are designed to suit individual client needs, then custom built and manufactured to comply with the relevant requirements of AS/NZS 1657:2013 and various statutory codes of practice. 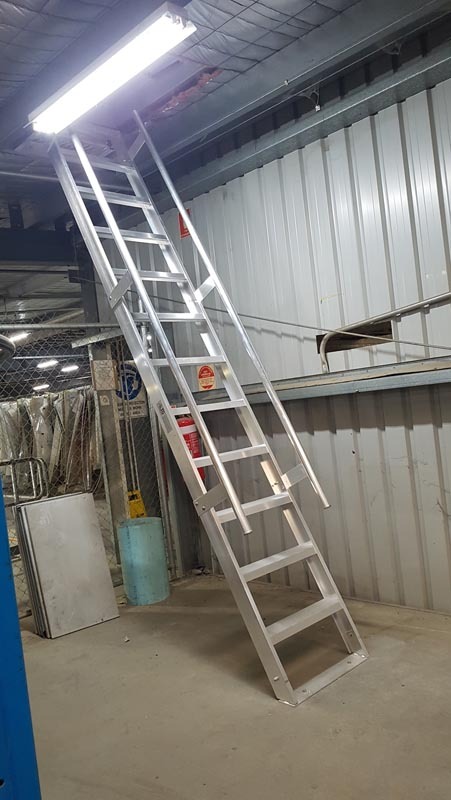 If seeking additional information about our stair systems, please contact our expert technical team by emailing us at info@safetyplusaustralia.com.au or calling us on 1300 713 566.